§ 423.9 Authority to enter agreement — representatives on governing board. § 423.13A Administration — effectiveness of agreements with retailers. § 423.25 Director’s power to adopt rules. § 423.26 Vehicles subject only to the issuance of title — vehicle lease transactions not requiring title or registration. § 423.26A Manufactured housing — collection of use tax — certificate of title. § 423.36 Permits required to collect sales or use tax — applications — revocation. § 423.37 Failure to file sales or use tax returns — incorrect returns. § 423.40 Penalties — offenses — limitation. § 423.41 Books — examination. 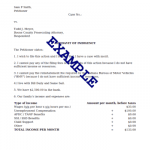 § 423.45 Refunds — exemption certificates. § 423.46 Rate and base changes— liability for failure to collect. § 423.49 Return requirements — electronic filing.